Eating right does not have to be complicated. Read my top tips. You should follow, as a base 80% healthy food and 20% indulgent. Don’t have any process food at home. Buy fresh vegetables and fruits every week, you can just do it online if you have a busy schedule. They just need to be seasonable and fresh. We all need to indulge ourselves, we are human! Aim to do it twice a week and eat what you really want to have. Whatever it is, enjoy! Follow that up with being diligent to wait until the next time. Snacking is something we all love, I do as well. However, we need to try to have healthy low GI snacks. I recommend fruits and nuts. How many processed juices, energy bars do you eat per day? They have so much sugar and calories and without knowing, they pile up! Cut them out, start eating the snacks that are natural and healthy such as an apple or some almonds. By the way… Fizzy drinks? No, thank you. They are packed with artificial ingredients, sugar, and calories. Drink some sparkling water with lemon instead! Alcohol? Yes, of course we should drink some wine or beer. But again, try to not make it a habit it is better to have water with your meals. I think alcohol has countless calories, but we also need to have fun. Enjoy it when you drink it! 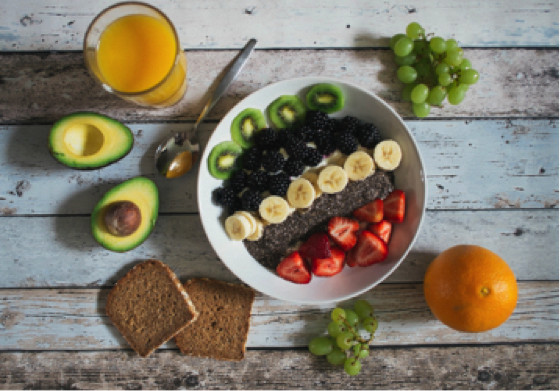 The benefits of a consistent diet – refer to my philosophy – is that you will have massive boosts of energy to work out and avoid snacking and sparks of sugar going to the roof which results in crashing. Stay tuned for part two for my dietary advice! Remember the 80% / 20% base!